We know that FM transmitter is very important to built-in radio of the vehicles. Would you like to install such a high-tech device in your car? Please attach importance to this 0.8" LCD 3.5mm Plug Oval Car FM Transmitter! Adopting high technology, this FM transmitter features excellent performance to receive stable signal. 0.8" LCD display allows you to catch the display easily. 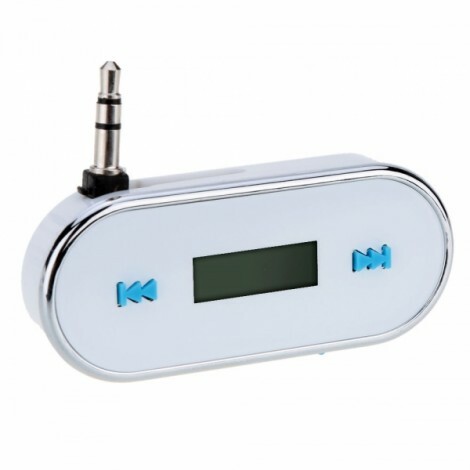 This FM transmitter features USB charging, providing sufficient power source to your device! It is fully compatible with Blackberry cellphones. A faddish and practical item for all of you! 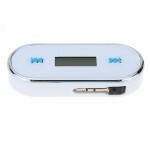 3.5mm interface, suitable for MP3, MP4, cellphone, tablet PC etc.